The Success Foundation is the foundation for all District 6 schools including our charters. We received a gift for the 2016-17 school year directed to West Ridge Academy and our recent visit found students taking full advantage of this support. 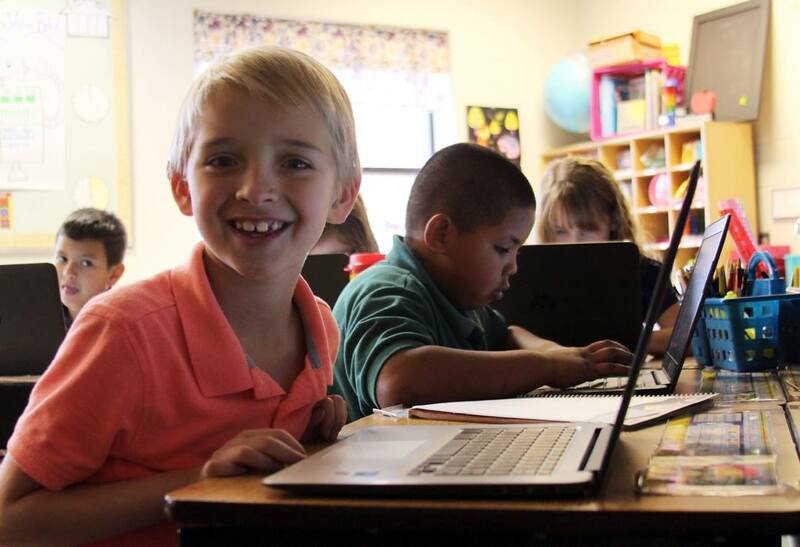 West Ridge Academy purchased six Chromebooks per classroom in grades 2nd-8th and offset the costs of accompanying charging carts with the funds received. The Chromebooks are allowing students access to enhanced educational content and programming that compliments classroom work. In addition, accelerated math students are able to independently work ahead on the Chromebooks using digital content. Lindy Matthews and her 2nd grade students demonstrated how the Chromebooks are utilized to learn typing and general computer skills. With the addition of technology and innovation at West Ridge Academy, the possibilities are endless! The Success Foundation looks forward to supporting Principal, Russ Spicer, teachers and students at West Ridge Academy as the school continues to grow and expand. Our vision is to mobilize community involvement in order to create innovative opportunities and provide exceptional learning environments for all students!